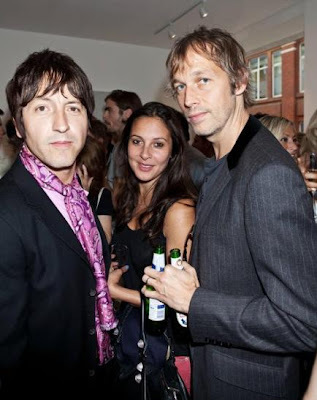 LONDON - Gem Archer has said how the creative process been with Beady Eye. He told Mojo: "Liam's almost gone off like a firework. He's there every step of the way, sometimes with too many ideas. With 'Bring The Light' Liam had been doing some Pretty Green stuff in Italy and all of a sudden I got a load of texts saying, 'I want to do a Little Richard, Jerry Lee Lewis, that kind of feel, and I want to do it right.' And then it just happened immediately. Once we got into the recording he said 'I want some girl backing singers, like an Ike and Tina Turner record.' I was saying, I can't get my head around it but it sounds great. So I think his head's just exploded. Especially since he's doing his Pretty Green thing, buying up film rights and things." Beady Eye are finalizing dates for an upcoming United States tour (album released in North America via Dangerbird Records, 1 March).